David Cameron has threatened to refuse to take part in TV debates ahead of the general election unless the format includes a requirement that participants answer questions through the medium of freestyle interpretive dance. The move comes after Mr Cameron’s poor performance against Nick Clegg and Gordon Brown during the synchronised dancing sections of the 2010 televised leadership debates in the run-up to the last general election. 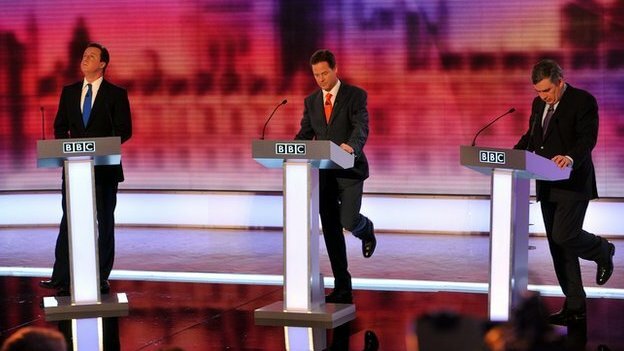 The Liberal Democrats received a boost after Nick Clegg’s strong performance in the 2010 debates answering questions on the economy through a series of improvised freestyle contemporary dance sequences. And former Labour leader Gordon Brown was praised by pundits for his solo clog dance depicting the steps he would take to boost employment and tackle inflation. An example of an out of date outmoded piece of history – and some Morris dancers! This is a truly frightening post, as it might give the slimy so-and-so ideas. ‘Dad dancing’ is well-known horror at family parties everywhere, but ‘politico dancing’ would be much worse. Even more horrific than the time Tory politicians were apparently told to try to connect with da Yoof by talking about their favourite pop bands. This resulted in Lord Onslow describing the Spice Girls as ‘perfectly delicious’, while others opted for the Scissor Sisters, to show they weren’t homophobic. Anne Widdecombe has appeared on Strictly, so we can expect the rest of the Tory party to be copying the banging moves of Pan’s People and Hot Gossip (shows how old I am). 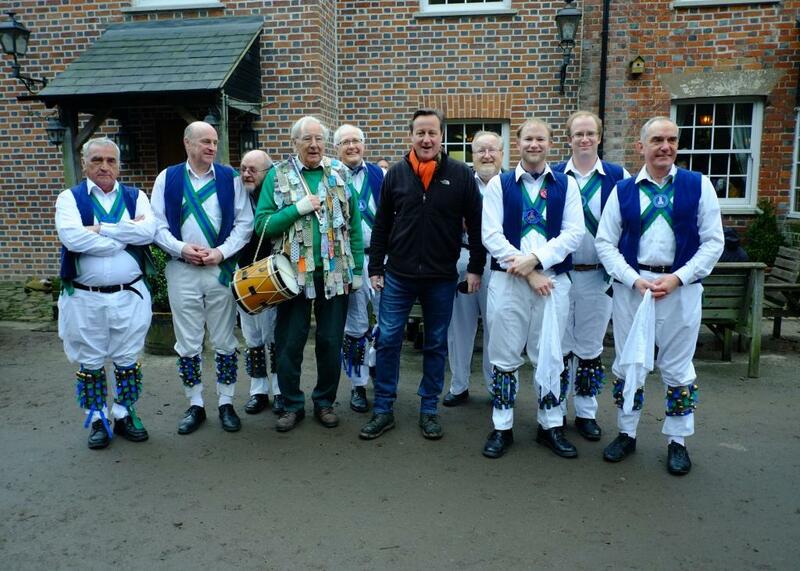 David Cameron: Have you seen my hava nagila? Nick Clegg: It takes two to tango! Gordon Brown: If I’d known this was a Highland Gathering of the clans I’d have donned my kilt.